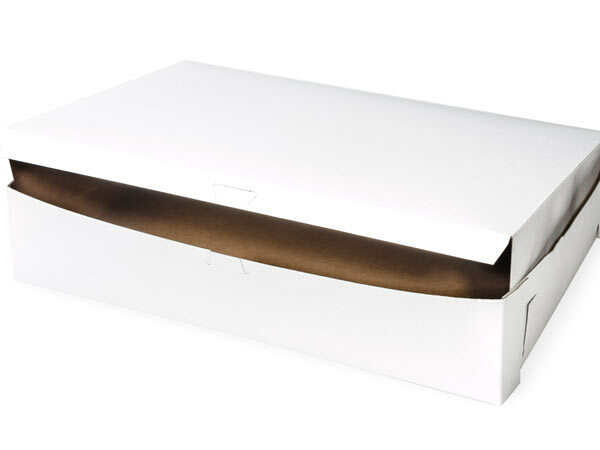 5 Pk White Bakery Boxes are made from 100% recycled material. Perfect size for 1/2 Sheet Cake. Box is front loading. Complies with FDA regulations for food packaging. Made in the USA.